So you finally have enough money saved up for that fancy new ride and you are ready to get rid of your old rust buck. But how do you go about getting it off your hands? Well, there are always local JETs and ALTs looking for cheap rides, but if you are unlucky enough not to know any of the local ex-pat community, there are other ways to get rid of your jalopy. Like any country, your car loses significant value after you drive it off the lot. This is true in Japan and then some since Japanese people seem to have a skewed perception of what constitutes a "high mileage" car. A lot has to do with onerous inspection laws as well as a host of other economic conditions. 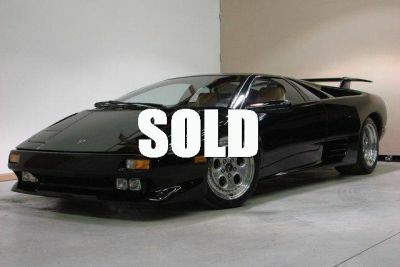 While the economic meltdown in the early 90s has tempered the new car market, people tend to trade in old cars a a faster clip than most countries.Therefore, don't expect to get heaps of money for even a late model car. If you car has some marketable value, a dealer might be able to take it off your hands (a process known as shitadori 下取り). But if you suspect you are getting low balled, it is a good idea to check out a few shitadori websites that get quotes from various car buyers in the area. For the most part, these websites connect you to car buying specialists, not car dealers. Some good websites where you can get quote comparisons are carview , Goo-net, and Kurupura (run by the Japan Auto Buyers Association). For the most part, these sites are just middle men who will collect satei (査定), or price assessments, from a plethora of big companies. If you want to cut out the middleman, you can visit the websites of some big buyers such as Gulliver, Apple, Rabbit, Carchs, or Carseven. If you live in a big city, chances are one of these companies has brick-and-mortar outlet somewhere around. Also, there are heaps of independent shops that specialize solely in buying cars. Look for signs that say 高価買取 (koka kaitori, "We will buy it at a high price"), or 愛車買取 (aisha kaitori "We will buy your car"). The amount of time it takes for a buyer to reply with an offer ranges from nearly instantaneous to several days. Keep in mind, if your car is old and has logged a fair amount of kilometers on the open road, chances are that many buyers might turn you down. It is a good idea to check on what your car is worth by consulting one of the many car buying magazines found in your local bookstore. Also, looking at current selling prices on sites like goo-net, i-size, and carview can help give you and idea of what to expect as a median price. Naturally, buyers will try an buy low and sell high so don't expect anywhere close to full market value. Another thing to be careful with is noting any damage, scratches or modifications to your car. A single scuff on your bumper can make a very big deal in a land where people pride themselves on having pristine, nicely polished rides. For this reason, it is often easier to visit buyers in person and ask them to assess the car on the spot. Of course, this can take a fair amount of time, especially if you live in a sparsely populated area. In the event that you sell your car via an online service, keep in mind to subtract any fees from the final price. Buyers tend to tack on hefty transport fees, "convenience" fees, management fees, and other hidden extras. Also, unless you want to pay a hefty fee for delivery to the store, you will have to take the car in yourself.